If you really really want to go to the live Call of Duty XP event (and who could blame you) but can't swing the $150 price tag, then we have good news! We've got four tickets to the expo to give away, so act fast! The tickets only get you into the event; you've got to get yourself there and back. 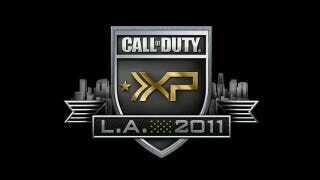 The event takes place September 2nd and 3rd, in Los Angeles, California. The exact location is still undisclosed. How do I make it mine? First step, log in to Twitter and follow Kotaku. Then send @kotaku a message with the following text: "HEY @KOTAKU GIVE ME A CALL OF DUTY XP TICKET!" We'll pick four people from those that send us the text in the next four hours at random—the four winners will be hearing from us! The only restriction is that you must be 18 years or older. All standard Gawker Media Contest rules apply.